APP’s ProTek Flat Plate is made from the same corrosion resistant composite material as our ProTek Wear Pads. 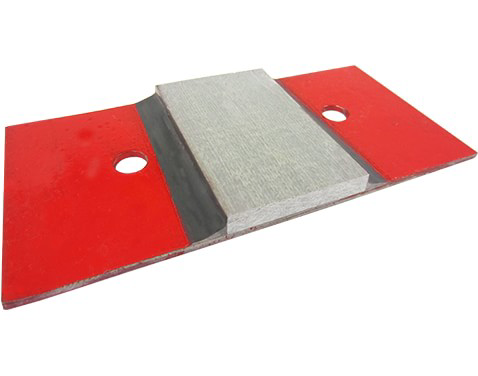 The flat plate is best suited for use on flat surfaces and it can be used in multiple applications, such as a non-metallic bearing surface for corrosion prone areas. If a low coefficient of friction is needed, it can be mated to a PTFE sheet and act as a slide plate. In addition to being corrosion resistant, the flat plate only takes minutes to be installed. The epoxy system is used to adhere the flat plate to the structure or surface at the area abrasion will occur. Custom manufacturing Available in custom sizes (maximum of 3 ft wide by 10 ft long) and thicknesses (⅛”, ¼” & ⅜”). Setup fee may apply.